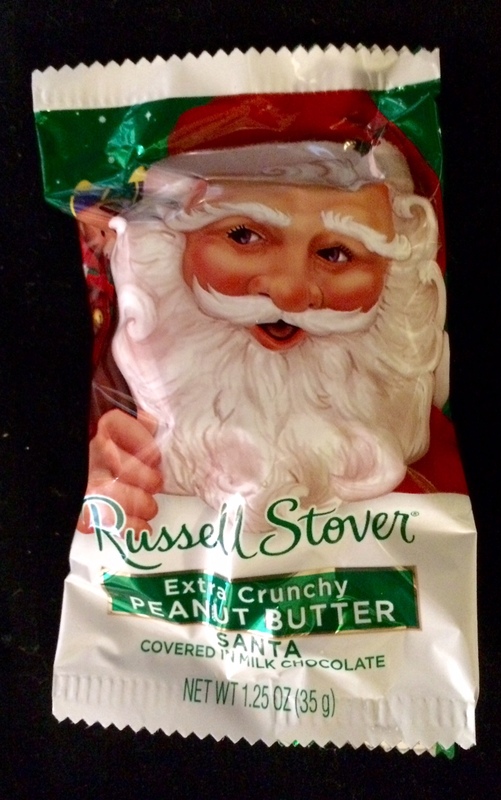 I'm obsessed with any Peanut Butter/Chocolate combo and was piqued to discover this new Russell Stover Extra Crunchy Peanut Butter Santa. 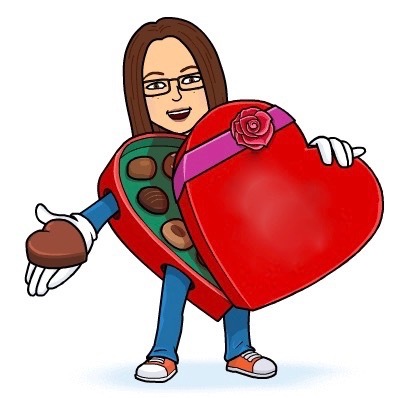 I like the Russell Stover line and think they come up with some unique, fun flavors. 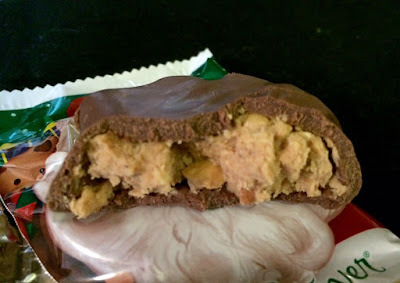 This peanut butter patty, though, was disappointing. The extra crunchy consistency was great, peanut bits of various sizes suspended through each bite. The peanut butter flavor felt muted. Each bite of a peanut butter cup by Reese's or Palmer screams "Peanut Butter!" This was a more mellow taste, perhaps more like peanut butter cookie dough.